SIOUX FALLS, S.D. — Federal wildlife officials are proposing that two Upper Midwest butterflies be classified as threatened or endangered species in the wake of rapid population declines. The U.S. 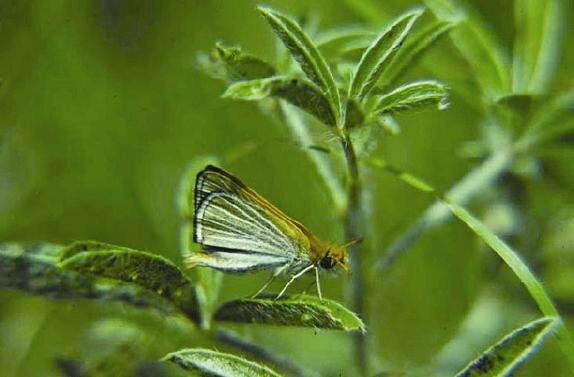 Fish and Wildlife Service plans to publish its proposal to protect the Dakota skipper and the Poweshiek skipperling in Thursday’s edition of the Federal Register, said Georgia Parham, a public information specialist. The species are threatened by degradation or changes to their tallgrass prairie habitat, Parham said Wednesday. The Dakota skipper, found in South Dakota, North Dakota, Minnesota and Canada, has experienced a dramatic decline in numbers and butterflies can be found on half the sites where they were previously found. The Fish and Wildlife Service is proposing to designate 54 tracts, ranging in size from 31 acres to 2,887 acres, in those three states as critical habitat for the Dakota skipper. “It used to be a vast ecosystem,” Parham said. The Poweshiek skipperling, once found in eight states and Canada, now can be seen only in a few native prairie remnants in Wisconsin and Michigan, as well as Manitoba, Canada. Surveys indicate that Poweshiek skipperlings are gone from nearly 90 percent of the sites where they were previously found. “These butterflies still exist because some landowners are managing their land in a way that supports them,” Parham said. 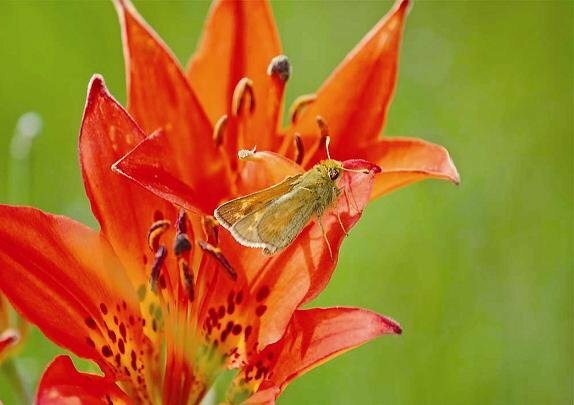 Officials would like to designate 63 tracts for the Poweshiek skipperling, ranging in size from 23 acres to 2,887 acres, in Iowa, Michigan, Minnesota, North Dakota, South Dakota and Wisconsin. Several of the proposed tracts cover for both species. Parham said it’s difficult to quantify population declines because the animals move and have simply disappeared from many areas. The Endangered Species Act defines an endangered species as a plant or animal in danger of becoming extinct; a threatened species may become endangered in the foreseeable future. The act offers protection by making it illegal to harm, harass, injure or kill a species and conserves habitat designated as critical for the species’ survival and recovery. Once the proposal is published, the Fish and Wildlife Service has a year to decide whether to give the species protected status. Public meetings on the proposal are planned next month in Minot, N.D.; Milbank, S.D. ; Milford, Iowa; Holly, Mich.; and Berlin, Wis.